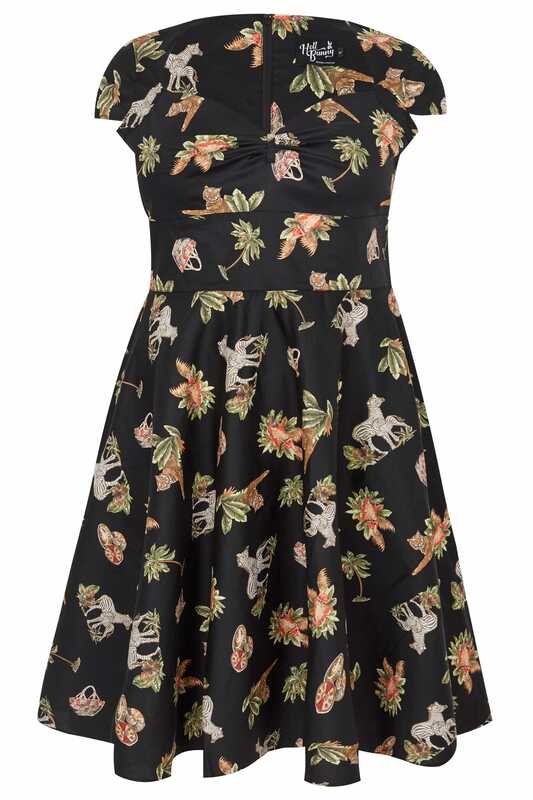 Unleash your wild side in this animal printed dress from Hell Bunny. 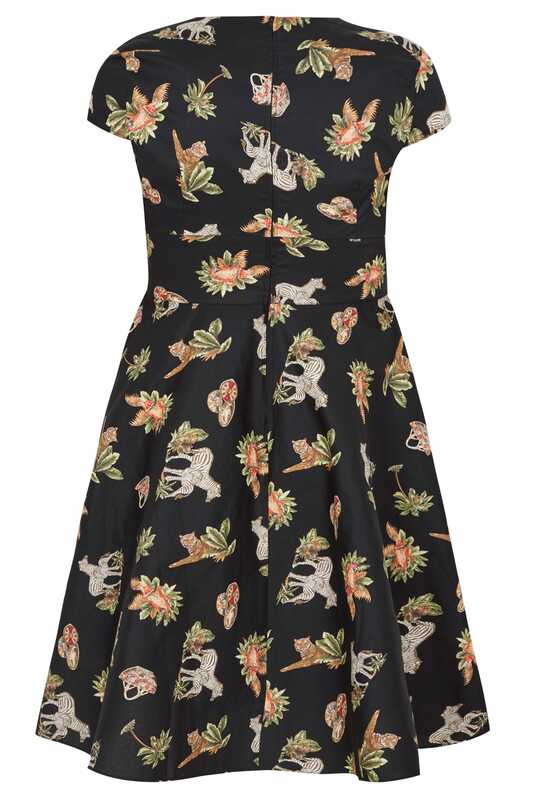 Vintage in style, it features a ruched sweetheart neckline, a flared skater skirt and short capped sleeves. Just add strappy heels and a box clutch for some stand-out evening glam. The dress will do the talking.